QUETTA, PAKISTAN | The city became known as a meeting point for the Taliban last year, after leaders of the terrorist organisation were emerged holding strategic meetings there. Now, the Taliban are pretty pissed off. But this new McDonald’s in the city has angered Talibans since it opened earlier this month, with one saying ‘we don’t even consider it as food’. McDonalds offerings have been modified to appeal to more Muslim customers. All the food at McDonald in Muslim countries is Halal. 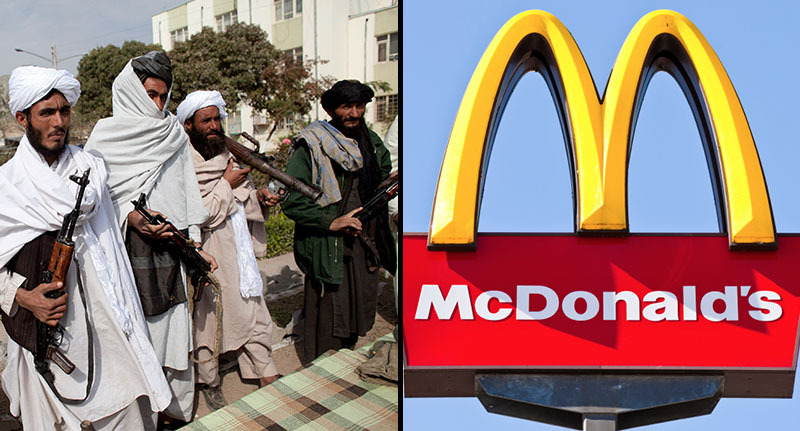 Speaking to NBC, Ehsanullah Ehsan, a senior militant commander with the group laughed when he was asked what he thought about the new McDonald’s. Yes, I know McDonald’s and its food but we will never eat it. We don’t even consider it as a food. This isn’t our food. We live in the rough, tough mountainous areas and need energy and power to fight against the enemy. We know it’s an American food company and our religious scholars have forbidden us from consuming any Western food and beverages, and the fast-food is too expensive and tasteless. They also claimed that they will soon visit the Quetta McDonald’s with friends but would not eat the food.